The choice of a mobile app development agency is not rocket science. 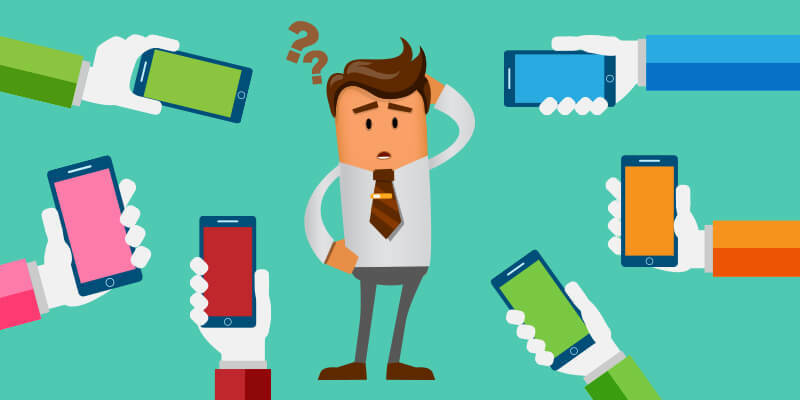 You just need to have a knowledge on the working of a mobile app development, as you are savvy user with knowledge and a brilliant app idea that has been floated , but you are simply at a loss unable to comprehend how to transform this app idea into an actual reality. There are myriads of app development agencies out there, vying to get your attention. There are so many factors that need to be considered as you choose the app development company, as you face severe issues, right from the initiation of the project up-to the deployment stage. In such a scenario, it is wise on your part to develop a strategy, helping you to decide on a company, which will meet your business goals and your expectations. First and foremost you need to worry about the proper credential of the company. For this, after deciding on a list of probable companies, you evaluate their performances on some parameters. The best way to judge the reputation of the company is to conduct an online research. The reviews, ratings of users and the number of years of experience, in developing any previous apps are certain things to be considered. Strong and positive reviews are what matters. Make sure to check further details like product portfolios and the various services that are rendered. In-depth research and proper evaluation techniques are what prepares the insight about the mobile app development, under consideration. A client-centric company works with passion and delivers on-time. So, checking if the company is client-focused or not, can undoubtedly, help you in choosing the right mobile app development company. Remember that the company must provide the sound client support, otherwise it a serious concern. The reputed companies know the value of their clients and never restraints from providing the proper assistance over issues. Their client-centric approach is what enables them to provide best-in-class and kink-free services along with the proper customer support, as and when required. For every business, earning expected value and results from the investment made is critical. Everyone wants to get cost-effective solutions for their products. But, remember, that the cost and quality are always at a conflict of interests. But the quality of the apps must be delivered, if possible at reasonable rates, allowing the app users to purchase the apps. However, sometimes higher quality products are what are demanded by the app users, even incurring a higher cost. The company you are selecting must be offering solutions that must beneficial for the expected business outcome. If a company is well-recognized and has got a wide acceptance all over the globe, then, undoubtedly, the cost of their services might be relatively high. As mobile app has become the key factor that is helping companies and brands in obtaining traction, for wisely selecting a company providing the best-in-class services. After all, a lot is dependent on the online research that is conducted. Delivering Innovative and Out-of-the box Services? come out with unique, feature rich apps. Remember that the differentiating factor for your app helps you achieve the expected business results. So, choose the company that has the capability to transform ingenious app ideas into real apps that, in turn, will help you to deliver the best of user experience. The chosen company must have the capability to develop quality apps, at a rapid pace or has the fastest turnaround time. The app need to impact the market at a speed, so that it ensures higher ROI, with best of business impact. The app development company must be updated on the latest on the domains that it is working on. Appinventiv is a leading mobile app development company, driven by simple goals with high quality products that generate revenue, with higher user engagement, Appinventiv has evolved as the most sought after company in mobile space. Till date, they have developed 380+ world-class apps that adhere to engineering best practices and deliver user-experiences, of highest quality. Being one of the top iOS and Android development company, our adept team of 180+ mobility experts has strong expertise in various industry verticals including Wearable, Beacons and Internet of Things space, providing solutions across the latest mobile development platforms.